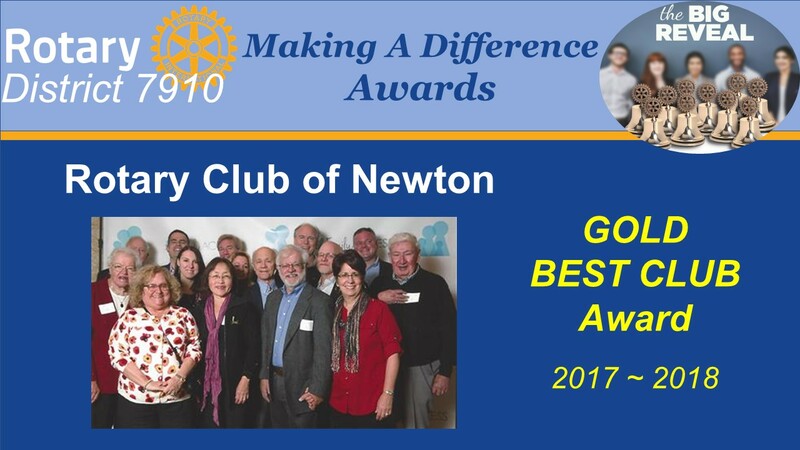 The Rotary Club of Newton was awarded the Gold Best Club Award for the 2017-2018 Rotary year. 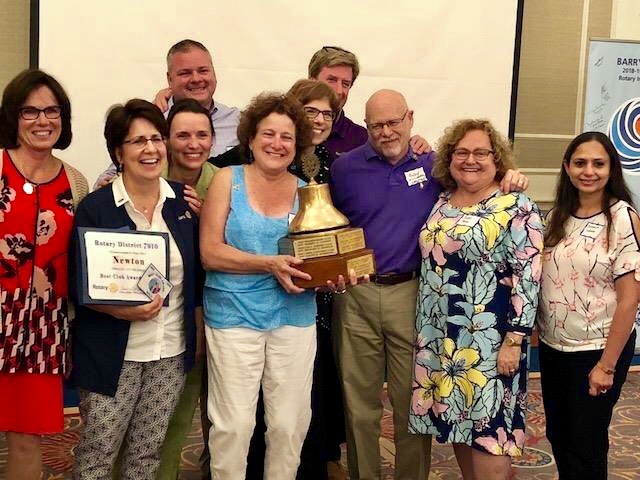 Over 100 Rotarians from across Massachusetts gathered to celebrate individual and club accomplishments at the “District 7910 Big Reveal” on Thursday, July 19th at the Sheraton Hotel & Conference Center in Framingham. 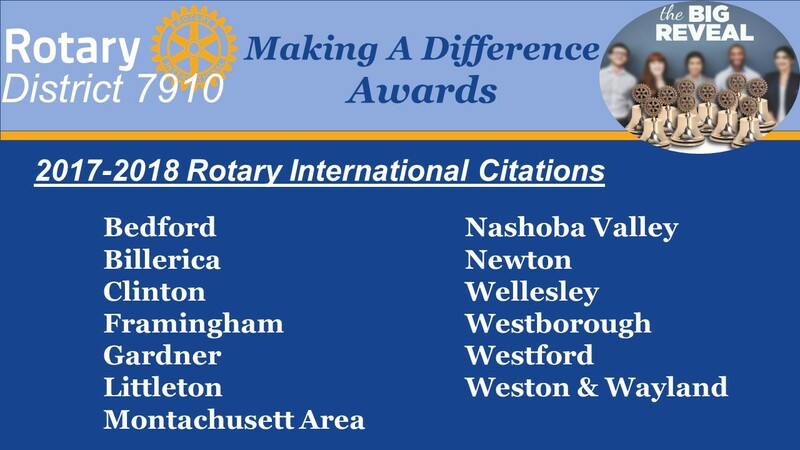 Newton is part of Rotary International District 7910, which spans Massachusetts from Brookline to the Brookfields. 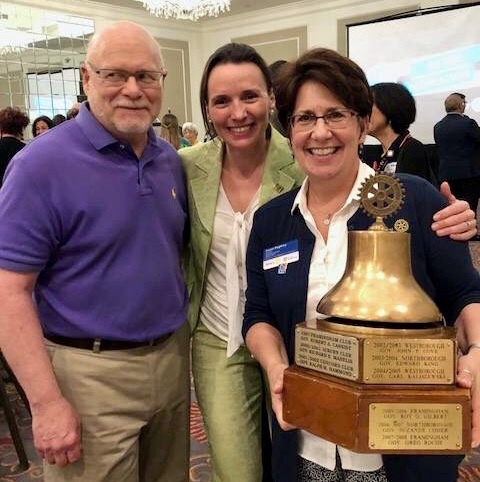 The Gold Best Club is the highest award a club can receive from their district, and is accomplished by performing outstanding community, club, youth, and service as well as achieving other organizational, public image, and engagement goals. 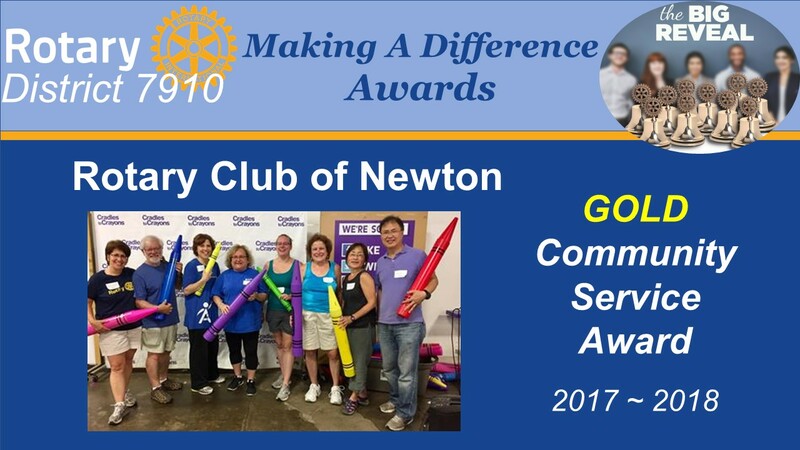 The club ALSO won the Gold Community Service Award, the Local Image Award, and is receiving a Rotary International Presidential Citation. 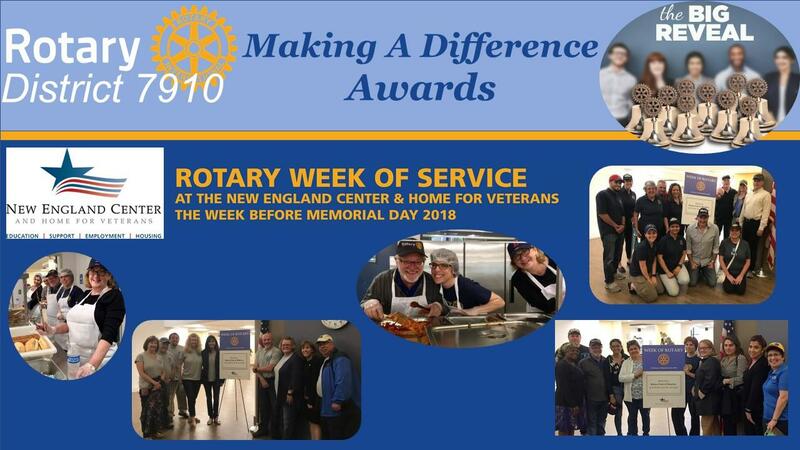 Members were also recognized for participating in a multi-club effort to serve meals to homeless veterans during the “Rotary Week of Service” at the New England Home and Center for Veterans in Boston. 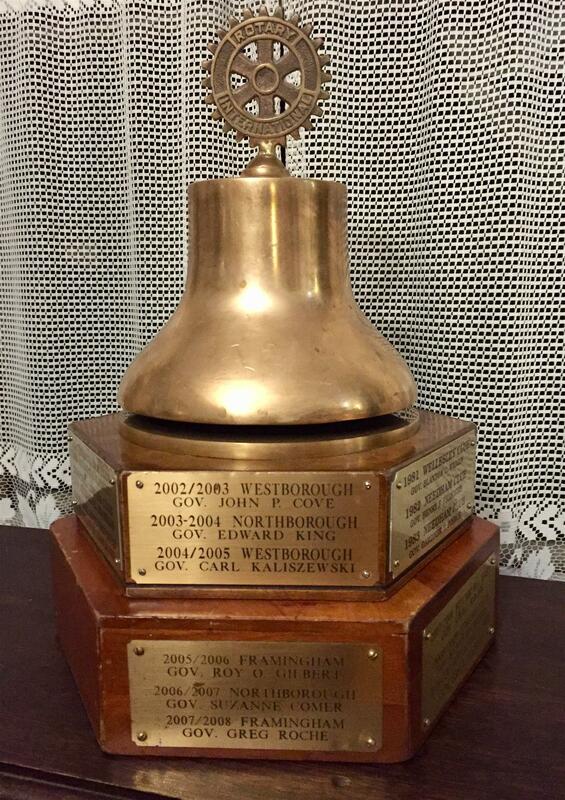 The Gold Community Service Award was especially gratifying to the club. Last fall they made the commitment to perform at least one community service project each month. 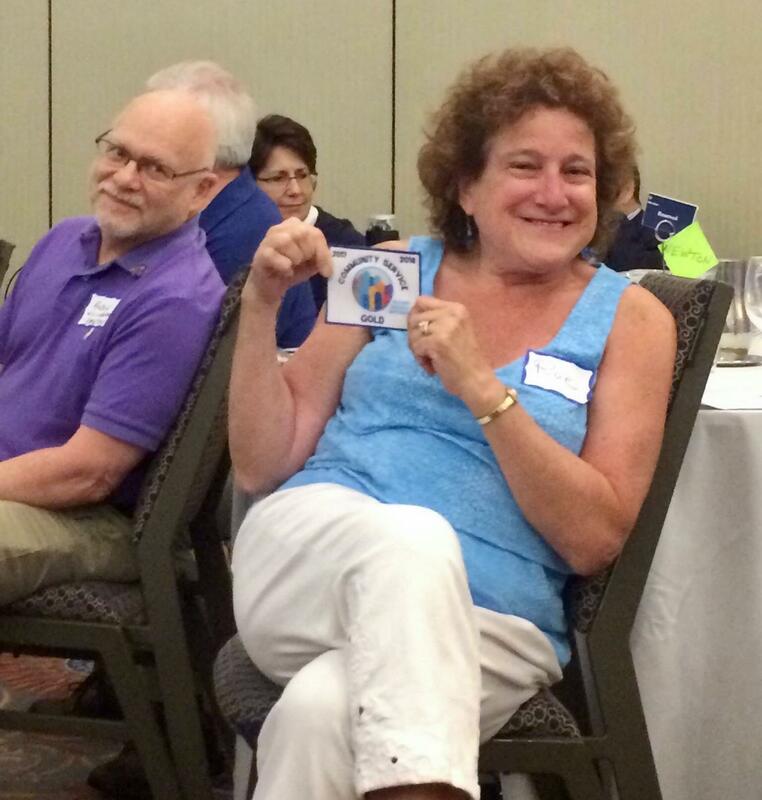 This goal was easily surpassed as unexpected opportunities to serve the community presented themselves. 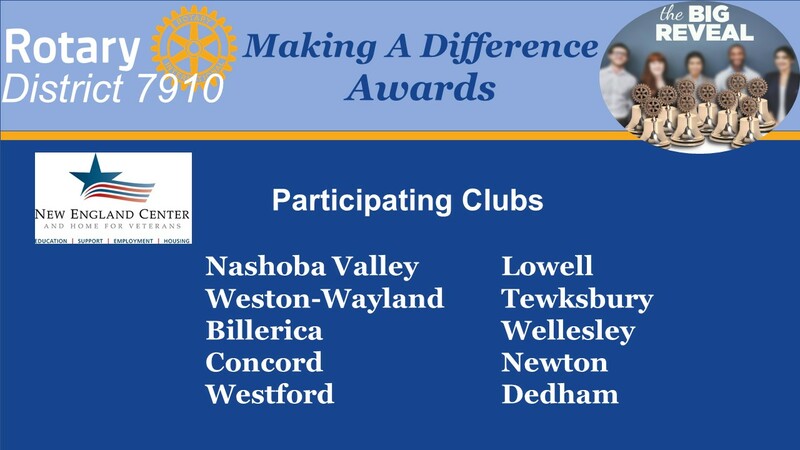 Just a FEW of the projects the club did included helping to feed hungry families by volunteering at the food pantries in town and sorting food at the Boston Food Bank, by letting families in crisis know they are important and part of the community by cooking a Valentines dinner at a domestic violence shelter, supporting literacy by donating books to the Newton Public Library, and helping to fight addiction by sponsoring and driving an addiction prevention global grant. 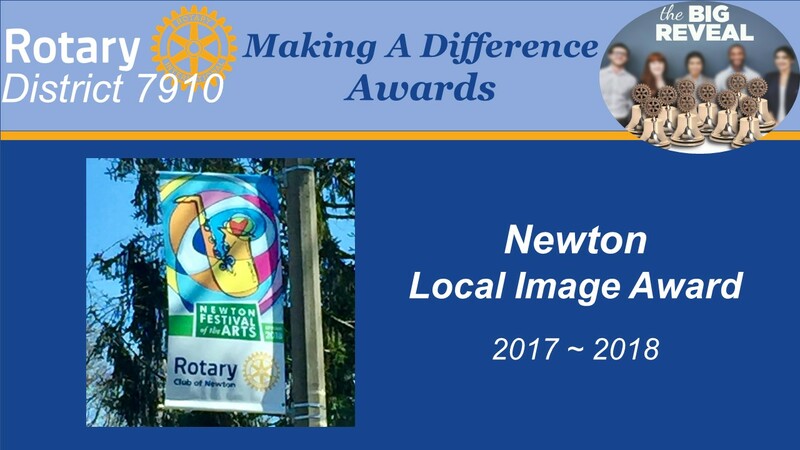 More information about Newton Rotary email us at RotaryNewtonMa@gmail.com.